You are here: Home / Grants and Support / Thank You Petco Foundation! We are thrilled to be recognized by the Petco Foundation for our lifesaving work! Similarly, Save the Cats Arizona’s mission is to provide a second chance at a happy life for felines who are at risk from an unhealthy environment or harm at the hand of humans. 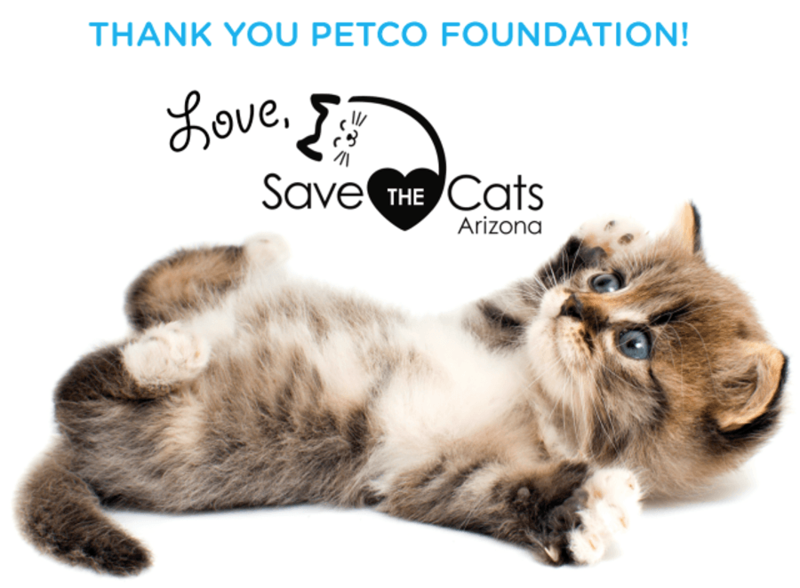 A big thank you to the Petco Foundation and their wonderful support!